Go to the US Open Join the mass tennis fan exodus to Queens the first two weeks in September to watch tennis' biggest stars take the courts. Go to the US Open Billie Jean King National Tennis Center, Flushing Meadows-Corona Park Join the mass tennis fan exodus to Queens the first two weeks in September to watch tennis' biggest stars take the courts. Get to a beach for the last time for Labor Day Cry, because the countdown to fall is officially on. Then make a beeline for Coney Island, the Rockaways, the Hamptons, or the Jersey Shore. OR soak up the last moments of rooftop bar and/or pool season. Get to a beach for the last time for Labor Day Any beach Cry, because the countdown to fall is officially on. Then make a beeline for Coney Island, the Rockaways, the Hamptons, or the Jersey Shore. OR soak up the last moments of rooftop bar and/or pool season. Hit up Brazilian Day Celebrate all that is Brazil with 25 blocks' worth of nonstop party and Brazilian culture. 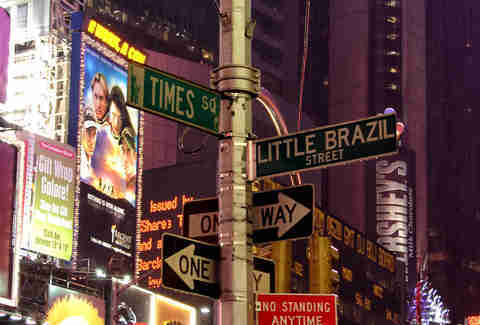 W 46th St marks the heart of the action, but across Sixth Ave from 42nd St to Central Park, revelers can celebrate Brazilian food, music, people, and parties. Hit up Brazilian Day Little Brazil Celebrate all that is Brazil with 25 blocks' worth of nonstop party and Brazilian culture. W 46th St marks the heart of the action, but across Sixth Ave from 42nd St to Central Park, revelers can celebrate Brazilian food, music, people, and parties. Paint your face and head to the West Indian Carnival NYC might not be AS known for its Carnival celebrations as a few other, more notable cities, but we still know how to do West Indian Carnival right. Don your feathers and your face paint and head to Crown Heights for steel-pan and calypso bands and lots and lots of pageantry. Paint your face and head to the West Indian Carnival Crown Heights NYC might not be AS known for its Carnival celebrations as a few other, more notable cities, but we still know how to do West Indian Carnival right. Don your feathers and your face paint and head to Crown Heights for steel-pan and calypso bands and lots and lots of pageantry. Get a sneak preview at a Root & Bone pop-up dinner Chefs Carla Hall, Jeff McInnis, and Janine Booth are teaming up to bring a Southern pop-up dinner to Root & Bone restaurant. 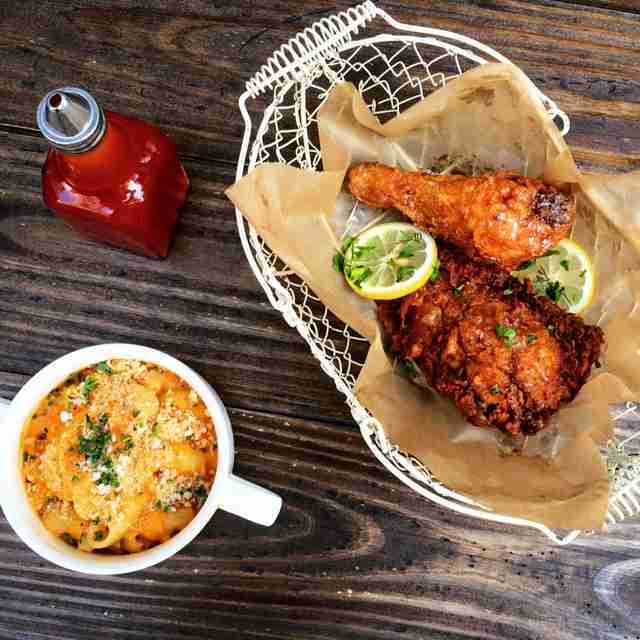 Four courses (and a cocktail pairing for extra charge) gets you all the Southern favorites like fried chicken, tomato salad with pimento cheese, smoked collards, and corn spoon bread. Get a sneak preview at a Root & Bone pop-up dinner Root & Bone Chefs Carla Hall, Jeff McInnis, and Janine Booth are teaming up to bring a Southern pop-up dinner to Root & Bone restaurant. Four courses (and a cocktail pairing for extra charge) gets you all the Southern favorites like fried chicken, tomato salad with pimento cheese, smoked collards, and corn spoon bread. Air kiss literally everyone at Fashion Week It’s that magical time of year when all the world’s prettiest people descend on NYC making the rest of us humans feel like schlubs in potato sacks. Be sure to catch all the parties, events, and shows during that week. Can’t wait! Air kiss literally everyone at Fashion Week Bryant Park It’s that magical time of year when all the world’s prettiest people descend on NYC making the rest of us humans feel like schlubs in potato sacks. Be sure to catch all the parties, events, and shows during that week. Can’t wait! 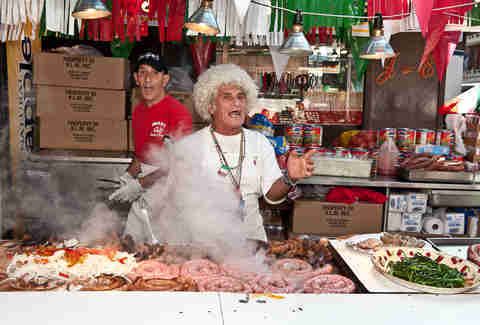 Stuff funnel cakes and sausages in your face at San Gennaro Load up on sausage & peppers, zeppoles, live music, and other different zeppoles at the 89th installment of this Little Italy classic. Stuff funnel cakes and sausages in your face at San Gennaro Little Italy Load up on sausage & peppers, zeppoles, live music, and other different zeppoles at the 89th installment of this Little Italy classic. Shuck shells at New York Oyster Week Pay homage to the oyster during New York Oyster Week. Not only can you enjoy eating oysters at a slew of participating restaurants, but you can also... enjoy eating oysters at a slew of participating restaurants. Shuck shells at New York Oyster Week Lots of places Pay homage to the oyster during New York Oyster Week. Not only can you enjoy eating oysters at a slew of participating restaurants, but you can also... enjoy eating oysters at a slew of participating restaurants. Eat from the city’s very best carts at the Vendy Awards Everyone has a favorite food truck to which they pledge their undying allegiance (love you, King of Falafel & Shawarma!!). Find out what the experts say is the best food truck in all the land at this year’s annual Vendy Awards. And yes, the event does involve a cook-off, and yes, you can sample the food. Eat from the city’s very best carts at the Vendy Awards Governors Island Everyone has a favorite food truck to which they pledge their undying allegiance (love you, King of Falafel & Shawarma!!). Find out what the experts say is the best food truck in all the land at this year’s annual Vendy Awards. And yes, the event does involve a cook-off, and yes, you can sample the food. 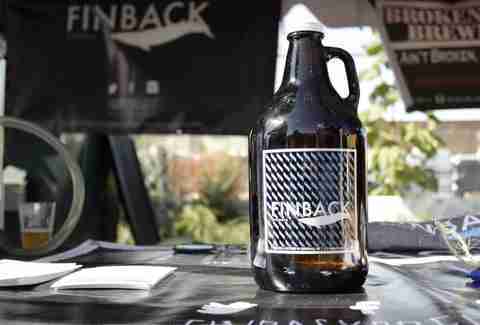 Expand your beer belly at the Brooklyn Local Craft Beer Festival Get to know the small and mid-sized breweries throughout the five boroughs (turns out there are a LOT). A ticket scores you the opportunity to sample a massive selection of beers all around the NYC area. Expand your beer belly at the Brooklyn Local Craft Beer Festival 421 Carroll St Get to know the small and mid-sized breweries throughout the five boroughs (turns out there are a LOT). A ticket scores you the opportunity to sample a massive selection of beers all around the NYC area. Expand your, um, whiskey belly at WhiskyFest Drink all the whiskey at this 18th annual whiskey-palooza. More than 350 whiskeys from around the world will be served and sipped at the event. Expand your, um, whiskey belly at WhiskyFest New York Marriott Marquis Drink all the whiskey at this 18th annual whiskey-palooza. More than 350 whiskeys from around the world will be served and sipped at the event. See a shload of films at the NY Film Festival Get cultured this fall with the latest independent and artsy films. This year’s film festival spotlights documentaries, showing 12 selections from the newest nonfiction cinema. See a shload of films at the NY Film Festival Lincoln Center Get cultured this fall with the latest independent and artsy films. This year’s film festival spotlights documentaries, showing 12 selections from the newest nonfiction cinema. Get red hot at the Chile Pepper Festival Go to this if you like live music, chocolate, food trucks, and fire breathers. This year’s festival brings a full day of performances, chocolate debauchery, and some of the city’s spiciest purveyors. Get red hot at the Chile Pepper Festival Brooklyn Botanic Garden Go to this if you like live music, chocolate, food trucks, and fire breathers. This year’s festival brings a full day of performances, chocolate debauchery, and some of the city’s spiciest purveyors. Catch a bunch of bands at the Global Citizen Fest Headliners are coming together to help take action to end extreme poverty by raising funds and awareness. Not to miss this year are Pearl Jam, Beyonce, Ed Sheeran, and Coldplay. 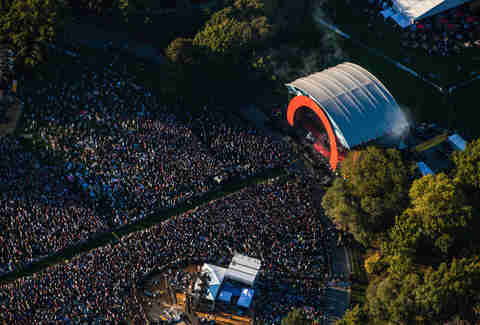 Catch a bunch of bands at the Global Citizen Fest Central Park Headliners are coming together to help take action to end extreme poverty by raising funds and awareness. Not to miss this year are Pearl Jam, Beyonce, Ed Sheeran, and Coldplay. Get to one more street festival at Atlantic Antic This mega street festival brings together food, art, music, shopping, and more, spanning four neighborhoods from Hicks St to Fourth Ave. This is, without a doubt, the largest street festival in New York City. Get to one more street festival at Atlantic Antic Atlantic Ave This mega street festival brings together food, art, music, shopping, and more, spanning four neighborhoods from Hicks St to Fourth Ave. This is, without a doubt, the largest street festival in New York City.